Get more happiness and good health in your life NOW! Aren’t we all looking for ‘a magic solution’ to make our whole lives happier, healthier & more abundant? Look no further…here it is…. Claire has always been a lover of words, a chatterbox and a story teller. Since winning her first story-writing competition at age 5 (shhh….it was meant to be for over 6’s only…but being only 1 month off turning 6, her first grade teacher entered Claire’s story anyway, taking out the main prize! ), she has always found calm and happiness in reading and writing. Claire has been an avid blogger since 2007 (back when blogs were fairly new unchartered territory) and founded several successful online communities & businesses. Claire writes freelance and commissioned pieces and has been published on countless websites, blogs and magazine publications, including: news.com.au, Body & Soul, Kidspot, Gold Coast Bulletin, The Daily Telegraph, Haven Hub for Families, Styling You & Child Magazine to name a few. Claire has been the resident writer for Cenvois Health, Dr Thomas Chong, Mum’s Closet & Pink Punk Active. Claire enjoys writing about anything and everything from health & wellbeing to motherhood to endurance fitness to fashion to travel to education to self-love to family life. Throw her a topic and she’ll write you a catchy piece that will delve into the hearts and minds of your readers. Please get in touch if you’d like Claire to write for/with you. Claire’s article (for Kidspot) on how/why her and her husband quit alcohol went VIRAL around the world. Claire’s article on Style Tips for Stay at Home Mums published on Styling You. Written for Body&Soul. Claire’s top tips for becoming a runner. 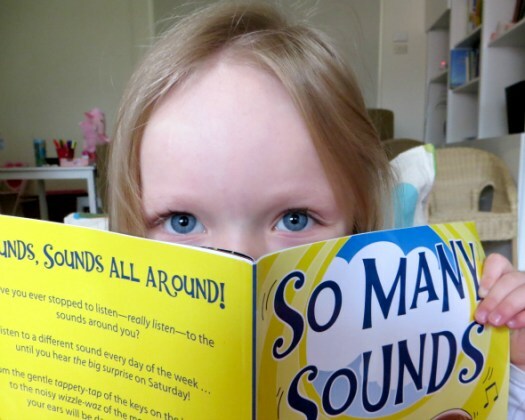 Claire Chadwick’s debut children’s book; So Many Sounds is available online from all great bookstores. A great addition to any classroom or home, especially when looking at alliteration, our sense of hearing and days of the week. Don’t forget to grab your FREE printable resources (scroll down for these), or order your copy now at these links: . Written by Claire Chadwick & Illustrated by Trevor Salter. Published in 2013. Have you ever stopped to listen - really listen - to the sounds around you? Listen to a different sound every day of the week ... until you hear the big surprise on Saturday! From the gentle tappety-tap of the keys on the keyboard to the noisy wizzle-waz of the merry-go-round, your ears will be dancing with delight. This is a book children will want to read over and over again. 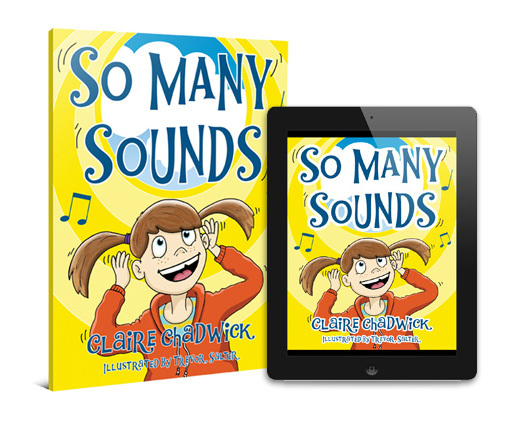 Author Claire Chadwick has hidden lots of valuable educational aspects into the story, making this the perfect teacher's resource or addition to a family's library. Click on this image to DOWNLOAD your free printable activities to use in your classroom or at home with your little ones.